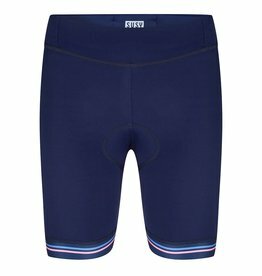 Looking for an extra short cycling short that look stylish and are comfortable? Then these Susy cycling shorts are totally something for you. You can wear the cycling shorts on the road bike, mountain bike or during a spinning class. 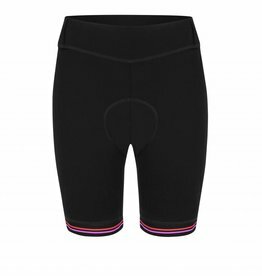 An extra short women's cycling short with a comfortable high waist. The cycling shorts are based on our bestseller of our 2016 cycling wear collection. We kept the great fit and only changed the colours into mat black with little stripes in bright white and baby blue. The fit has a comfortable, high waistband around the hips. The ladies cycling shorts have relatively short legs and have an inseam of about 20 cm (depending on the size). The cuffs are finished with silicone on the inside. 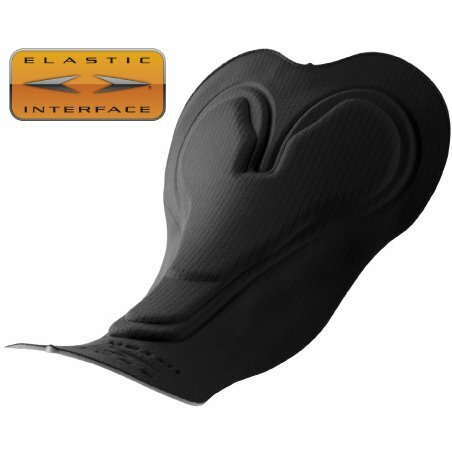 This keeps the elastic on the correct position during cycling. 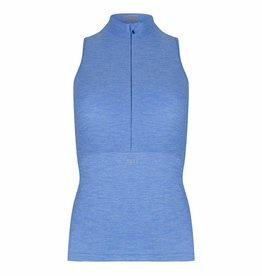 The fabric is made from recycled polyamide. -Compact knitted and it does not shine through. The trendy cycling shrt contain a high-quality chamois from Italy. -Various 3D thicknesses to give the sit bones the right support. -The female fit gives both stability on the saddle andfreedom of movement. Each Susy has a small pocket at the back of the waistband. So you can store a key or change. All seams of the ladies' cycling shorts are finished with soft seams. The SUSY logos are white and reflective so that you are clearly visible in the twilight. The recycled substance comes from Italy. The Susy cycling shorts are made in Poland. View all ladies cycling shorts from Susy cyclewear here.